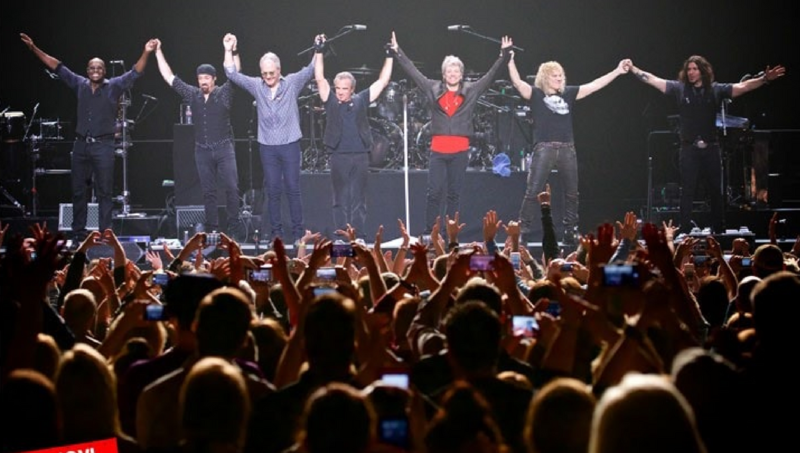 Rock Hall-bound rockers Bon Jovi have more than their share of big hits. The band is not only cherished by old-school rock fans, but also by listeners who prefer high-octane live rock to casual blues grooves. Nobody does it better than Bon Jovi, and their '80s sound still resonates in the 21st century. In a karaoke setting, their songs have a supernatural ability to bring a room together. They’re familiar without being too obvious, as almost two decades have passed since their omnipresent radio plays. Bon Jovi songs are not especially difficult to sing, but the high notes in the choruses offer opportunities to flex those vocal muscles! 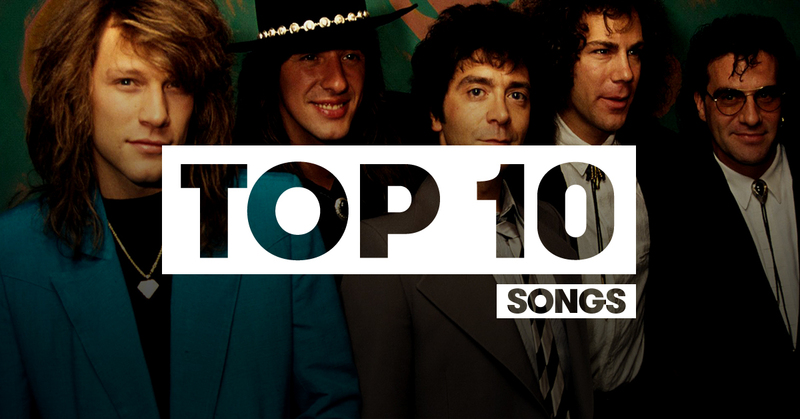 Without further ado, here are our top 10 Bon Jovi tracks to belt out! © 2018 Bon Jovi. All rights reserved. Following the rootsy, personal Keep the Faith LP, "This Ain’t A Love Song" comes across like Bon Jovi's concession to love songs. Even so, the track is unmistakable Bon Jovi, from the guitar solos to the full-throated, mountain-top-tickling bellow that announces the chorus. “Something For The Pain” radiates confidence with a country stomp and guitar riffs that demand a Travolta-like strut. Listening to the confessional musings of singer-songwriter Jon Bon Jovi can sometimes feel like looking in a mirror and seeing your truest self-exposed. The devastating imagery in Jon’s songwriting has always felt relatable and raw, but on “Thank You For Loving Me”, he’s paired her incisive insights with a sonic balm of beautifully layered reverb guitar. Bon Jovi never misses its go-to formula of pairing pop-leaning beats with irresistible choral vocals on the hook, and "Bad Medicine" continued that streak. The aggressive, nostalgic lyrics of its verses -- "Your love is like bad medicine, bad medicine is what I need, whoa / Shake it up just like bad medicine / There ain't no doctor that can cure my disease" make it a karaoke-party playlist staple. This song captures the more tender, romantic side of the band. "Bed of Roses" aces the power ballad form. 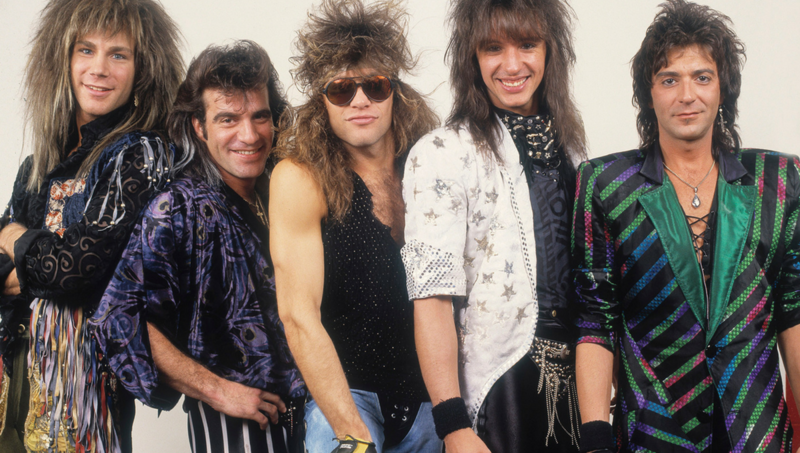 As Bon Jovi entered the ’90s, it also helped prove their maturity as a band as the popular music around them shifted away from the big hair flashiness of the ‘80s. © 2018 Tourphotographer.com. All rights reserved. When a Bon Jovi song begins with a gently strummed guitar and Jon’s whisper-singing, you know it won’t last long -- a sonic burst is inevitably on its way. Within 30 seconds of "Always," the drums kick in and Jon’s softly-spoken words are turned to passionate yells. Off the album Bon Jovi, this one stands out for its cross-generational feel, straddling the explosive energy of the band. "Wanted Dead Or Alive" was a bold reminder that the members of Bon Jovi are arena rockers at heart. The undulating verses are as much of a hook as the sing-songy chorus, making the entire jam one that's irresistible to hum along to. “Blaze of Glory” is timeless. The riff on the acoustic guitar is perfect in its classic simplicity. This dynamite hit song is so loved that Bon Jovi included it on their greatest hits compilations, even though only Jon was part of it. "Everyday" is much more of a pop rock song with its unusual opening bars, slightly offbeat drumming, and catchy chorus. It's set to become another of their anthems, easily sitting alongside such legends as "Wanted Dead or Alive" and "Keep The Faith". "Everyday" features upbeat, loud tracks with superb power chords, a big drumbeat and Jon's unmistakable vocals that ooze good clean American fun. You won't be able to stop your feet tapping and your hands playing imaginary drums. Our staff favorite from Bon Jovi’s 2000 album Crush! It’s also an emotional minefield: At some point in your life, you've probably confronted the fact that you’re not going to live forever. “I just wanna live while I’m alive,” you’ll bellow, and there’s no better room in which to shout these words than at a karaoke event. This song is shockingly cathartic, and thus our number one Bon Jovi song. Let's face it, Bon Jovi has more than one number 1 song ? It's been 31 years since Bon Jovi's mega-anthem “Livin' on a Prayer” topped the Billboard Hot 100 for four weeks. The song, long a staple of adult and rock radio stations' '80s music libraries, is simply: iconic. What are you waiting for? Whip out your rock star vocal and transform your living room into a sold-out arena singing along to songs in the style of Bon Jovi with The KARAOKE Channel Mobile App. Download it from the App Store.